chair that was a wedding gift to my grandparents in the 1930s. reasonable considering the age and the state of the chair. for the best priced material. They came to collect the piece, which was a huge help as I was 6.5 months pregnant when they got it. We got the chair back in about 5 weeks and it looks like a brand new piece of furniture. 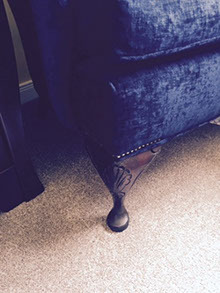 M&M Ultimate Upholstery did an amazing job re-stuffing the cushion and polishing all the period features on the chair’s legs. 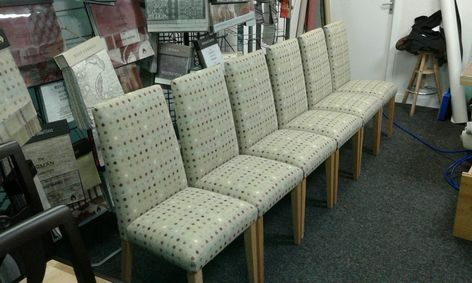 "I found M&M Ultimate Upholstery as my ‘True Find’ and for anything in upholstery they are my number one contact. 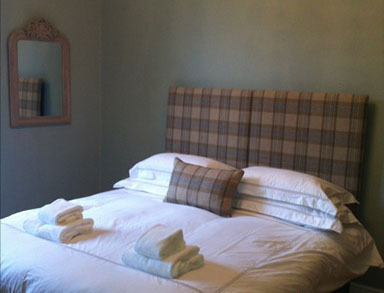 Recently they transformed this old chair which was bought on eBay and made these bespoke headboards. As I specialise in refurbishing properties for clients and furnishing them attention to detail is paramount. Thank you M&M Ultimate Upholstery for making it easier for me. Best wishes in the new workshop." 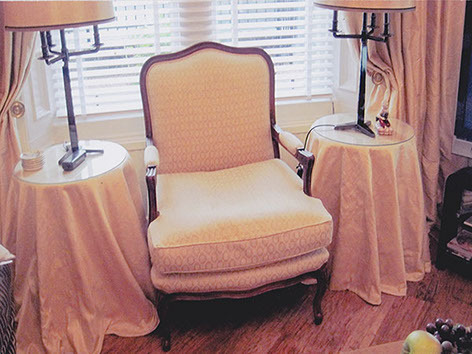 of work done by M&M Ultimate Upholstery in re-upholstering our two wing chairs. 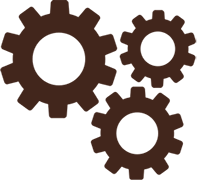 This was completed to the stated time-scale and to our complete satisfaction. such as would be difficult to better anywhere. 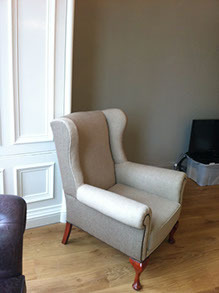 Kind regards"
"The professionalism of M&M Ultimate Upholstery’s service is to the highest possible standards. 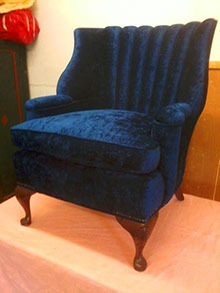 I would simply not look elsewhere for any upholstery work I required to be done. 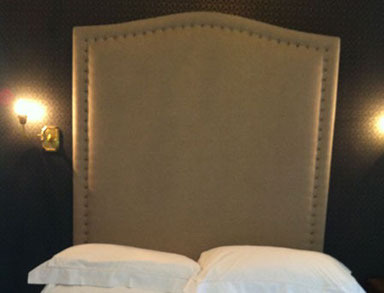 Furthermore, the quality of the work has ensured that I offer the name of M&M Ultimate Upholstery to friends and any others considering looking for an upholstery job to be completed. 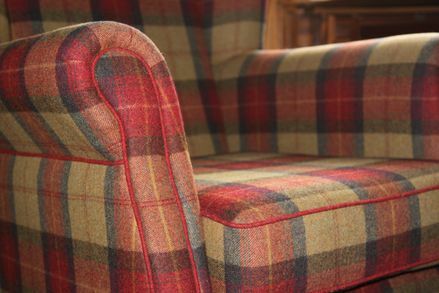 The family treats the task of upholstery work with heartfelt warmth that is not to be found elsewhere. The work is completed with a real attention to detail and perfect execution." 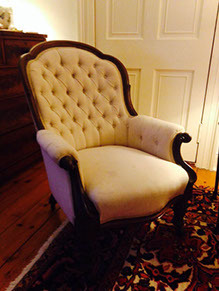 "I'd been looking for a wing back chair for a long time for my living room. 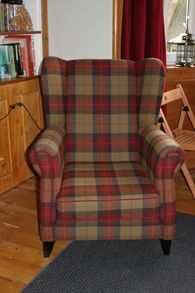 In the end I found a worn and torn old chair in a thrift shop which was just the right shape and size but sadly had been neglected over the years. 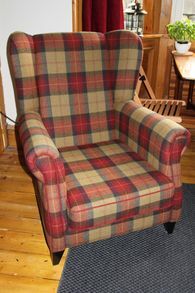 I decided to purchase the chair and found some lovely tartan material which was exactly what I was looking for. 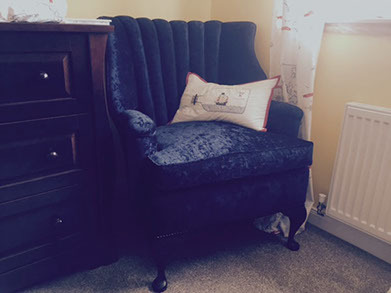 I was recommended m&m ultimate upholstery from a family friend and am delighted with the final result. Professional and timely, I now have the perfect piece that I was looking for, beautifully finished and pride of place in my living room. 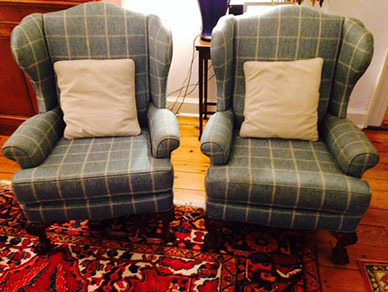 I wouldn't hesitate to recommend m&m to anyone for a refurb or complete overhaul of an item. They truly have done a fantastic job. 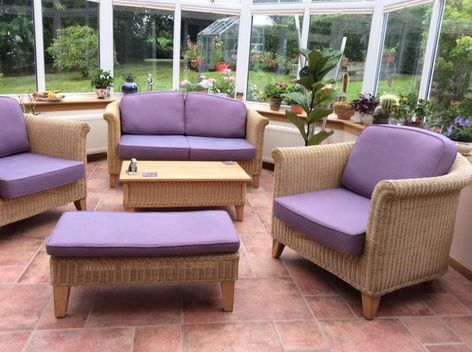 "Some very dated conservatory furniture now looking lovely and thoroughly modern. Greatly admired all Summer. Thank you Marek and Yvonne." "Love the chairs. They look amazing with the table. 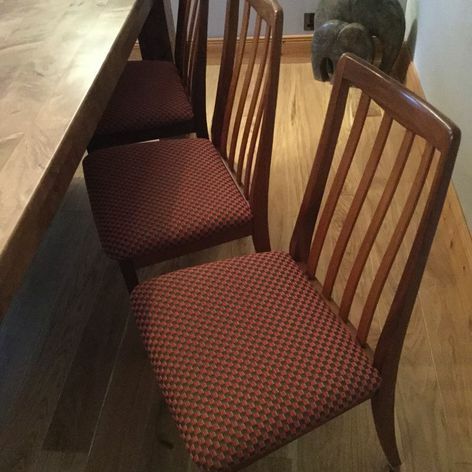 "Would just like to thank you for a very professional job on our six dining room chairs. 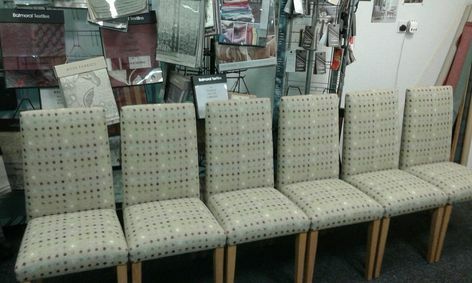 "A huge thank you for doing a superb job at very short notice on my dining chair. Very pleased that I won't have to have an odd chair at my Christmas table! Merry Christmas and best wishes for 2017." 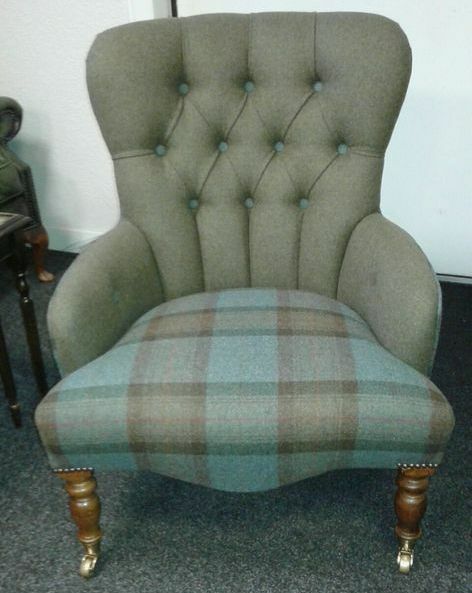 "Just to let you know how pleased we are with the button back chair that you have recently recovered and repaired foru us. Another excellent job done! Best regards." Tayside, Fife, Perthshire, Kinross & Edinburgh Area.